LinkedIn is a valuable space for B2B companies and a must-have channel to include in your social media strategy. You can use it for as many purposes, such as getting awareness and visibility, positioning as a professional company based on high-quality content, sharing qualified opinions, to accurate targeting for lead generation. Here is a basic toolkit for making the most of your LinkedIn presence as a small or medium company. 1. Make a content strategy and calendar that you respect. Measure & fine-tune. What do you want to communicate? To whom? What are your objectives? Write these down, break down your content into categories and craft your posts around them. You can then slice your ideas into months and even weeks to plan your posts better and keep a consistent approach. Keep an eye on how it all works by following your page’s statistics and don’t be afraid to adjust in real-time. The best days to post content on LinkedIn for higher engagement are when people are in their professional mindset. This is usually between Tuesday and Thursday, either early in the morning, at lunchtime or early evening. There is an additional good time between 10 am and 11 am on Tuesday when people are in the proactive planning mood and are looking for fresh ideas. You can use Friday’s lower pace to share motivational or inspiring content that emphasizes your company’s human touch. Frequency and consistency are equally important, so make sure you post 20 times per month at average. Use the 80/20 rule for the types of content you distribute: 80% of it should be useful content and 20% of it should be promotional content. Try a mix of writing your own and sharing existing content that responds to problems your company solves. Think about what your audience needs to read to consider you and then make a decision. B2B companies have a good ally in SlideShare, which you can use for uploading presentations, case studies or reports that you can then share on LinkedIn. You can also use SlideShare for lead generation. Make sure your content is useful and relevant but visually appealing and easy to consume as well. You can be the greatest writer and you will still go unnoticed if you don’t make your content attractive. Build your own visual style and use the power of videos, dynamic presentations or infographics. It can make a lot of difference according to statistics around how people consume content nowadays. Ask your people to optimize their personal profiles so you all look professional and part of an engaged team. Add your company as the workplace for everybody. Encourage your team to share your company’s posts and other relevant industry specific news. They should be your company’s best voice both online and offline. LinkedIn Groups can multiply your audience when posting relevant targeted discussions. Make a list with your selected groups and open discussions around topics of interest. Not sure how to do this? You can start with a question that draws attention to the topic and then offer examples or possible answers by sharing articles from your website, relevant studies, videos, infographics or presentations. 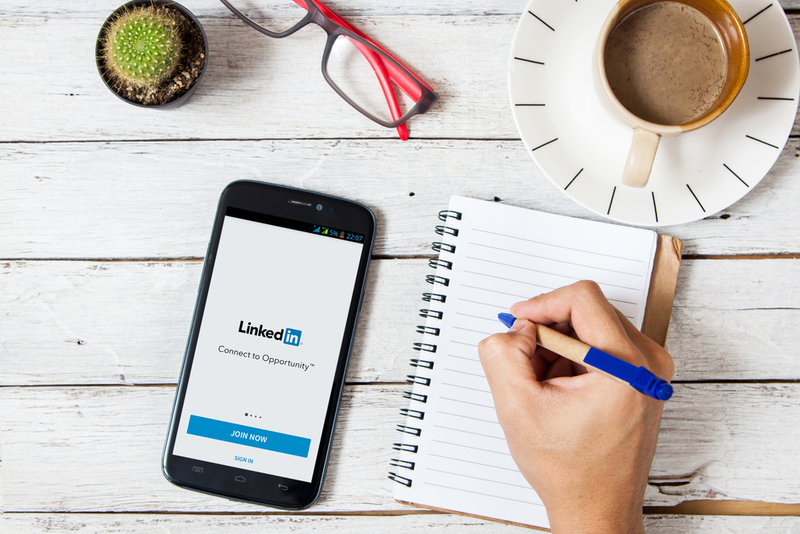 How else do you use LinkedIn for increasing your company’s visibility?